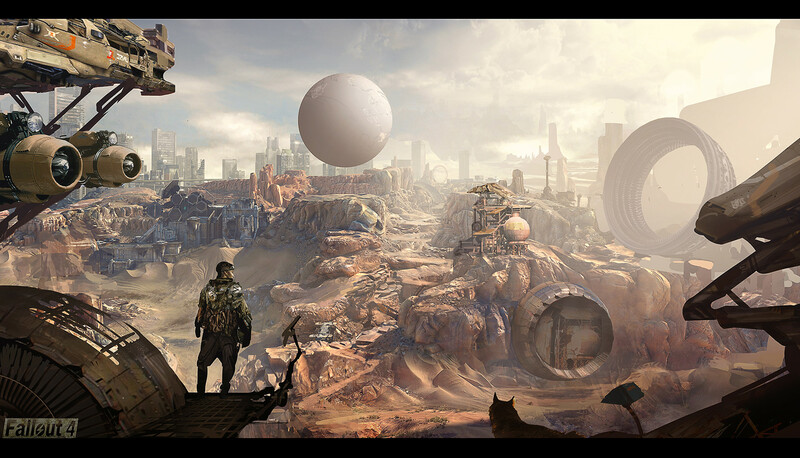 Since the tail end of 2015, I will admit that the majority of my “me time”, that hasn’t involved work, family, Trainwreck’d, vacations, etc., has been spent in the ruins of the area that the future would know to be called The Commonwealth. I have spent so many hours roaming the ruin streets of this city, that I feel like it is almost a second home. A dangerous, filthy, and bloody violent second home. And the truth is, I’ve never even been to present day Boston. Hell, I’ve never stepped foot in the state of Massachusetts! In fact, I have become engrossed with this version of the Commonwealth, I feel like I would be highly disappointed if I actually went into Fenway Park, and realized I was going to run into Travis Miles down in the Dugout chatting about his new found self esteem with his crazy buddy Vadim. I wouldn’t want a damn hotdog or Cracker Jacks, I would want some delicious Mirelurk meat from Polly near the first base line hand, and pretend that I didn’t break into her apartment once and read her weird poetry. Yes, this would be my Fenway Park, my Diamond City. The whole city would be like this for me. I could yammer on with more examples, but I know deep in my heart that true fans of the Fallout series, especially Fallout 4, will understand exactly what I am talking about here. What is worth getting into further detail is the people of the Commonwealth. While Fallout 4 is visually stunning in all of its amazing details, the thing I have always found the most fascinating is the people. The character development of so many different individuals in one setting is absolutely incredible. 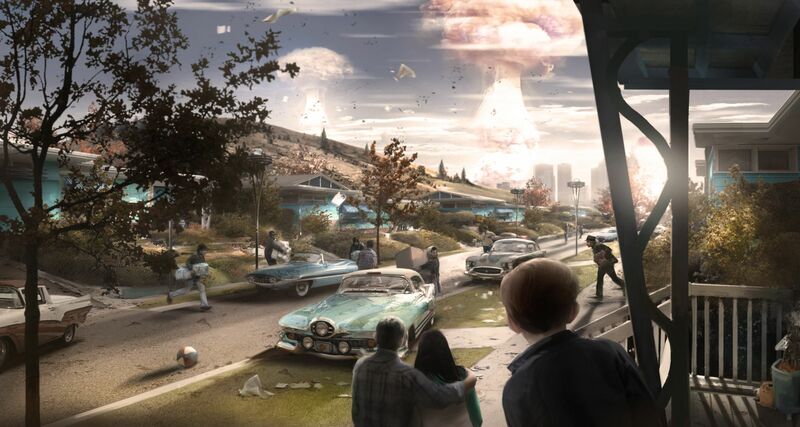 This is likely due to the fact that Fallout 4 is so beautifully written, with an amazing interactive story to be told. And as cliche and ridiculous as it may sound, the characters of this story truly take on a life of there own. You almost start to feel for these characters as if they are own friends, maybe even family. Great friends and family….some of which you would murder in cold mood at a moment’s notice for the mere idea of a great reward. Original concept art courtesy of Bethesda. So, with that, I decided I wanted to try to honor some of the characters of the Commonwealth, by getting to know some of the fine people who helped bring them to life….the voices of Fallout 4. The people that obsessed individuals such as myself have been “talking” to for the better part of the last 16 months. And before the “Internet Hero” in some of you starts to jump directly down to the comment section….I know this has been done before. It had to have been done, because it is a fascinating idea, and I would never lay claim to having many truly original and fascinating ideas. Long time readers of Trainwreck’d Society could certainly attest to this! We simply like to take concepts of the old and put our twist on them. And what is the twist here? Well, it isn’t really that complicated. 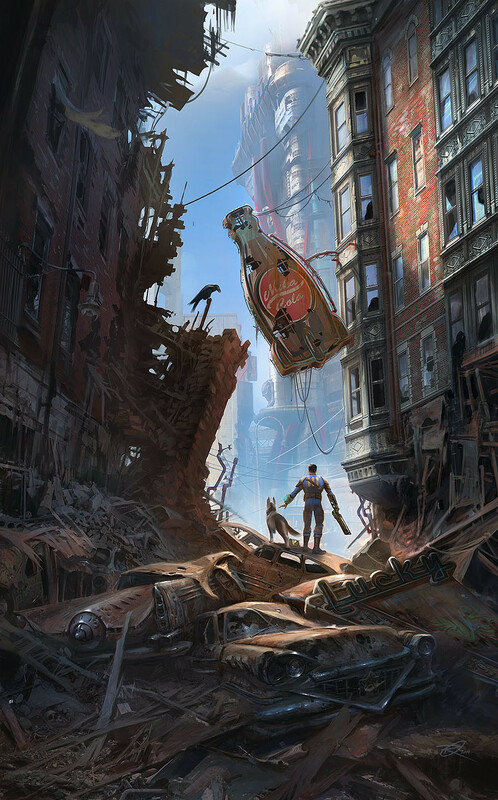 While we were busting at the proverbial seems to ask the talent behind the voices of Fallout 4 all about the world of the game, we wanted to scale it back a bit. We wanted to ask things like: Who are these people? Where else have I heard them? Why has it taken by Dad 23 years to come back from grabbing a pack of smokes? Alright, we didn’t ask that last one, but you get the point. We really wanted to get to know the people behind the characters, rather than simply throwing a plethora of questions about one subject at them. And I have to tell you folks, through this concept, I personally feel like I have met some of the most fascinating individuals in the world of acting, voice over, and overall entertainment, and built some great relationships along the way. What else did we do to make this a bit more interesting, you are surely asking? Well, I am glad you asked! We also desperately attempted to dig a bit deeper into the character well here. As I mentioned before, there is an incredible (our orange leader might say “HUGE”) amount of very interesting characters in the world of Fallout 4. And I wanted to talk to every single damn one of them. Of course, we didn’t quite do that, but we did reach out to many of the voice over actors behind some of our favorite characters that may not get nearly enough credit (i.e. the aforementioned Travis Miles and Vadim). And with that, I tended to notice that several of the actors tended to voice characters that were actually susceptible to death, which I was likely to have obliged them with during my “darker” runs throughout the Commonwealth. Am I making amends here? Am I trying to bring back the dead in a way? Am I rambling? Absolutely. So, here is what is going to happen folks! Starting tomorrow (Monday, March 13th 2017), every single one of regular posting days (Monday, Wednesday, and Friday, for all of the new reader(s) out there) is going to feature a great interview with a voice over actor from Fallout 4 throughout the month of March. Right to the end of this very long month! If you don’t feel like doing the math, that is 9 of them! 9 amazing actors, covering over 20 different characters from the world of Fallout 4 that you know and love. Who will these characters be? Well, I gave you two of them already, why would I ruin more of the surprise? You are just going to have to come back around each day to find out what amazing talent we will be talking with on each day! I am seriously very excited to get this showcase going. It is something I have been wanting to do for a very long time, and I finally decided it was time to pull the trigger on this concept. And I am very proud of what we here at Trainwreck’d Society have managed to pull off, and will be eternally grateful for the brilliant voice over artists who were kind enough to share a few words with us to tell us a bit about their lives, their work, and what they thought about their work on one of the finest art projects of all time, Fallout 4. So please enjoy the Showcase everyone, keep on coming back here to find out who we are talking with today. I hope you are excited to pull up our terminals each week to find out who provided the hard work and voice behind some of your favorite people from another world.